When lettuce is mentioned, many think of the standard iceberg lettuce found in supermarkets and restaurant salads. That is changing with the growth in popularity of the different types of lettuces from Romaine to head and leaf-type lettuces, mainly due to the flavors and colors that they offer from deep red to almost white and noticeably sweet to tangy and slightly bitter. Iceberg lettuce, originally bred as a hybrid, is now offered as an open pollinated variety and has been around long enough to be considered by some as an “heirloom”! 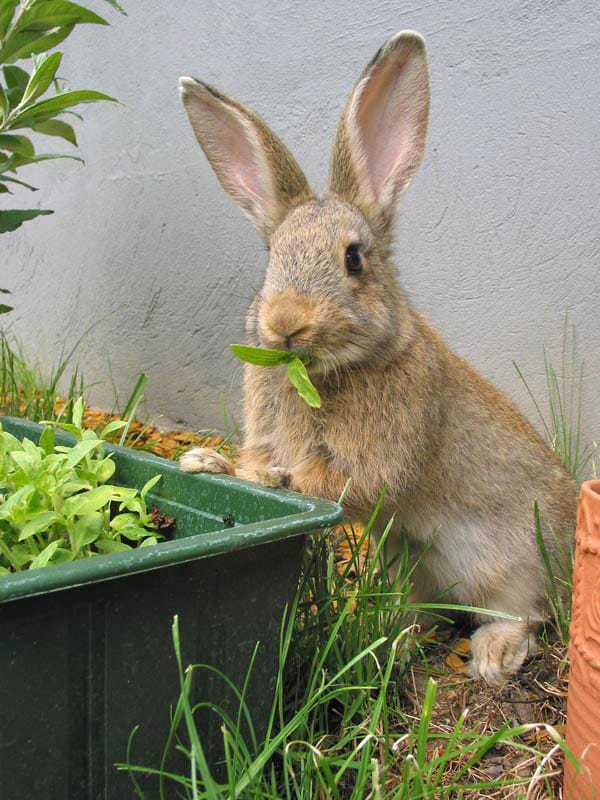 We have come to expect lettuce year round, mainly due to being educated by the supermarkets as to what our vegetables should look like, taste like and when they should be available. 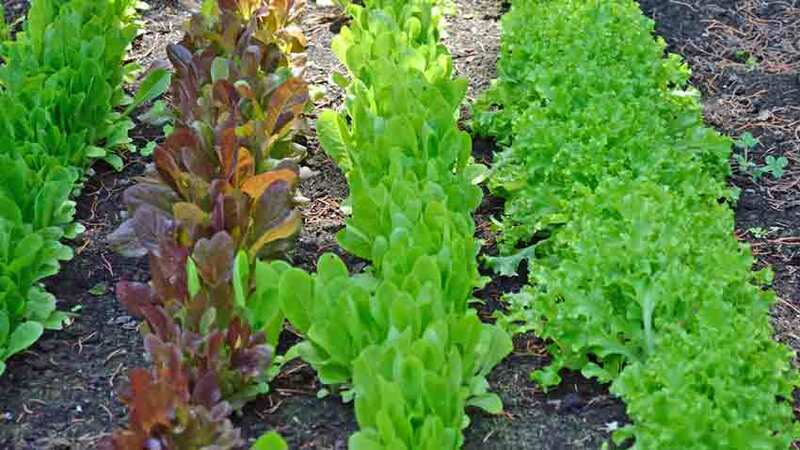 Many are surprised to find that lettuce is a cool season crop and will bolt or go to seed readily during late spring and summer months. 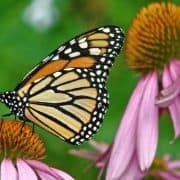 It is best planted early in spring and then again in late summer or early fall when the temperatures start to cool off. 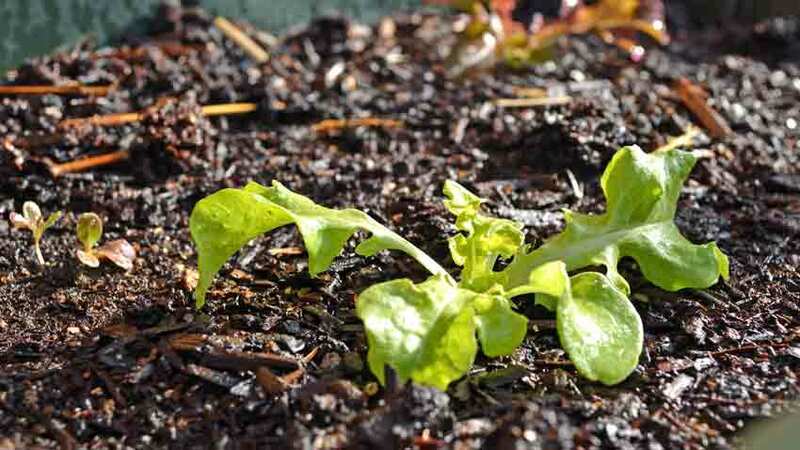 Lettuce seeds won’t sprout when soil temperatures are above 80°F but they will start to germinate as low as 40°F, making it ideal for early and late season planting. A plant hormone is produced under warm conditions that stop the germination process, called “thermo-inhibition”. This is a carryover from wild lettuce that originated in the Mediterranean Middle East, where summers are hot with little moisture. 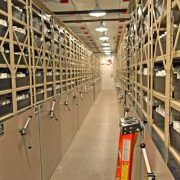 If the lettuce seeds were to sprout under these conditions, they would soon die out and the species would go extinct. Thanks to traditional plant breeding and selection of heat tolerant characteristics over a number of years, there are several varieties of lettuce that are more heat tolerant and are open pollinated- meaning you can save seeds from year to year. Some examples are Saint Anne’s Slow Bolting, Summertime, Black Seeded Simpson and Jericho. Just because these are heat tolerant doesn’t mean that they will grow through the summer, only that they won’t bolt or turn bitter quite as quickly. 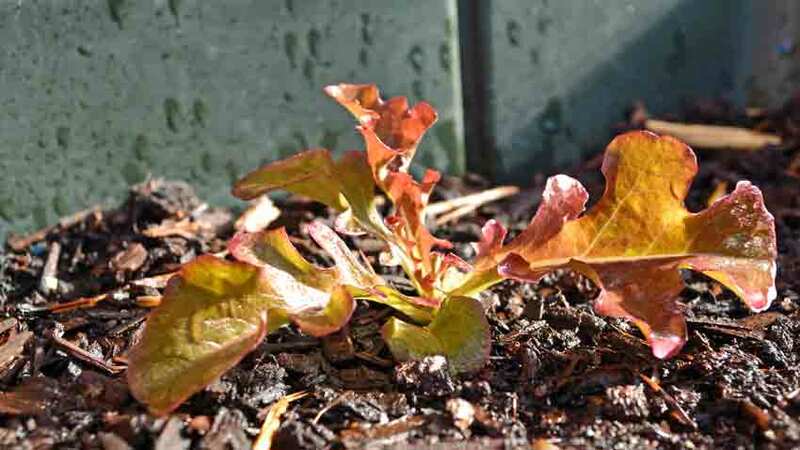 Thanks to ongoing research on lettuce traits, there are some techniques to extend the sprouting for lettuce seeds into the warmer months that home gardeners can use. 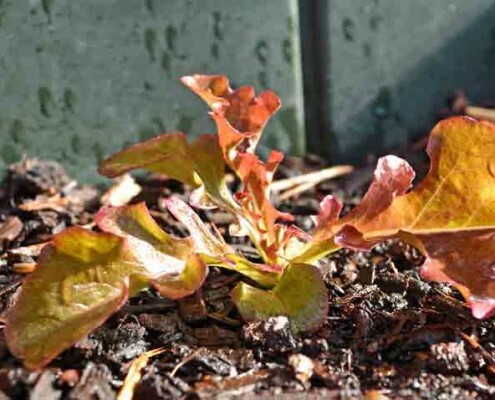 The optimum soil temperature for most lettuce seeds is 68°F, with some varieties sprouting in the 40 – 75°F range. The temperature of the soil must be taken, not just the air temperature which can be several degrees different. In warmer temperatures, imbibing or soaking the seeds in water for at least 16 hours before planting in a well-lit area will increase the germination percentages greatly. Red light has been found to be the best color, but many home gardeners won’t have access to a non-heating red light and sunlight or full spectrum light was found to be almost as good. Soaking the seeds in the dark in warmer conditions decreased their germination rates. Another technique that has shown to be successful is to soak the seeds in cool water in a well-lit area for 16 – 24 hours. This approach has increased the germination rate up to 97% when planted in warmer conditions. Soaking for less than 16 hours has little to no positive effect on germination. For a closer look at what happens when a seed goes through germination, read our article “Starting Seeds at Home – a Deeper Look”. 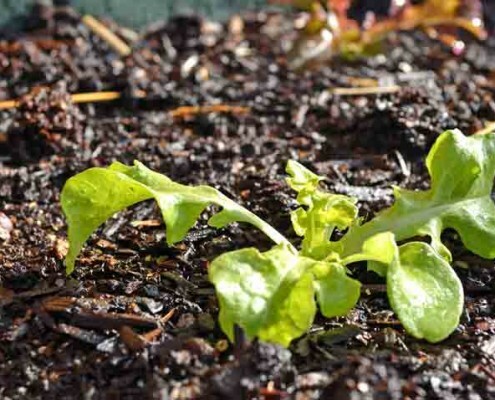 Other successful methods of extending the season for lettuce in the garden include laying a thick mulch of straw or wood chips on the ground of at least 1 1/2 to 2 inches. 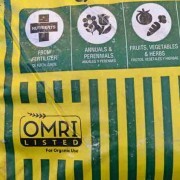 This insulates the soil from becoming too hot and drying out too fast and helps to preserve moisture in the soil. 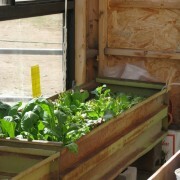 Shading the lettuce plants can give enough of a temperature drop to keep them from bolting, sometimes up to 3 – 5 weeks. Shade can be from a shade cloth on a row cover or hoop type structure or companion planting of tall wide leafed plants such as some types of pumpkin. 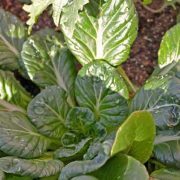 The traditional rule of thumb of “plant early and plant often” for lettuce can also be said as “plant late and plant often”, but some of the more heat tolerant varieties, along with soaking in light and providing some mulch and shade can greatly extend your lettuce season in the garden this year. I read this article in late June. I found a bag of Simpson Black Seeded Lettuce seeds (for the current season) on clearance. I put ~3/4 tsp of seed into a paper coffee filter cone, placed that into a clear plastic cup, and added enough water to submerge the seed. The cup was placed at a window with bright light, but no direct sun. This was at 4 pm. By noon the following day, all of the seed had plumped (imbibed), and some were already putting out a radicle. What a wonderful approach to lettuce seed germination in hot weather. Thanks.